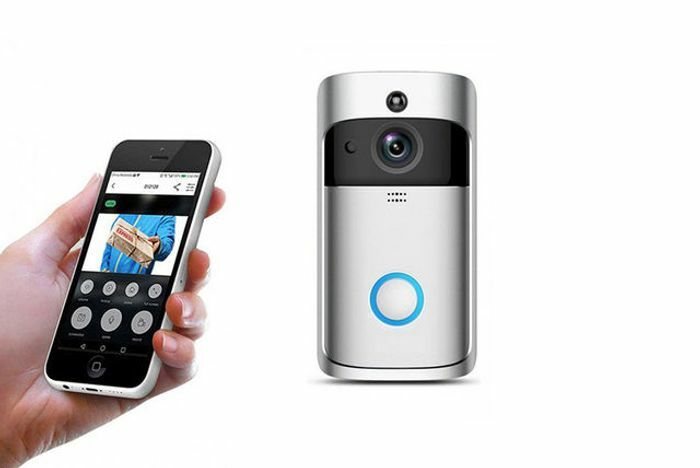 Get a WiFi security doorbell. Valid in two colours - black and silver. Connects to your home WiFi for a two-way intercom. See who’s at the door from your smartphone (Android and iOS compatible)! Features night vision, 720p picture resolution, and a picture and video recording function. Size: 144 cm x 74.5 mm x 32.3 mm.